Truth to materials is the mantra for many architects and designers these days. This tenet of modern architecture also guides us as we finish our custom steel windows and doors. Our steel products are finished in a handcrafted artisan process that enhances the material for what it is and brings out the inherent beauty of metal. Steel as a building material can be very industrial. It’s one of the most commonly used building materials in the world and prized for its strength, durability, and sustainability. But steel, for all of its strength, is not limited to industrial, modern, or minimalist designs; it can complement an almost endless array of design aesthetics. 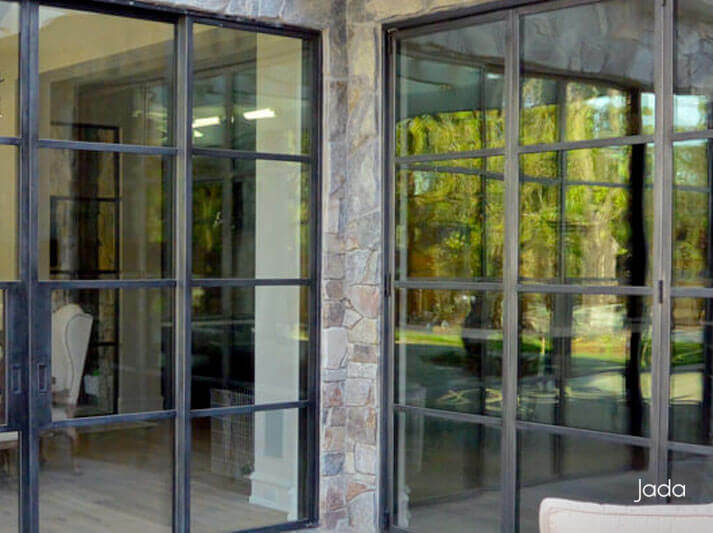 We finish our steel windows and doors in a two-step process that begins with a zinc coating and ends with a hand-crafted patina that enhances the natural beauty of our steel products. Our zinc and patina applications have been been through accelerated testing and performed hundreds of hours beyond the “full-life” thresholds set by the ASTM standard testing method. While our zinc coating adds a protective coating that extends the life of our steel fenestration products, it’s our handcrafted patina finishes that fully reveal the beauty and elegance of the metal. Our proprietary patina finish application process is a combination of methodology and artistic craftsmanship. The patinas are applied with an artistic touch that makes each surface unique and brings out a unique, living character in the finished product. Our architect and designers get to choose from a palette of patina choices which express a variety of textures and colors. Our patinas reveal the true nature of metal while allowing for distinctive aesthetics to emerge. Whether it’s the feel of steel, the luster of bronze, or the more comfortable aesthetic of aged metal, each finish honors the material and showcases the handcrafted artisanship that went into the product.